The Tallington Seal is happiest in and on the water; whether wind powdered or motorized! A power boat instructor including PWC he can steer you in the right direction. 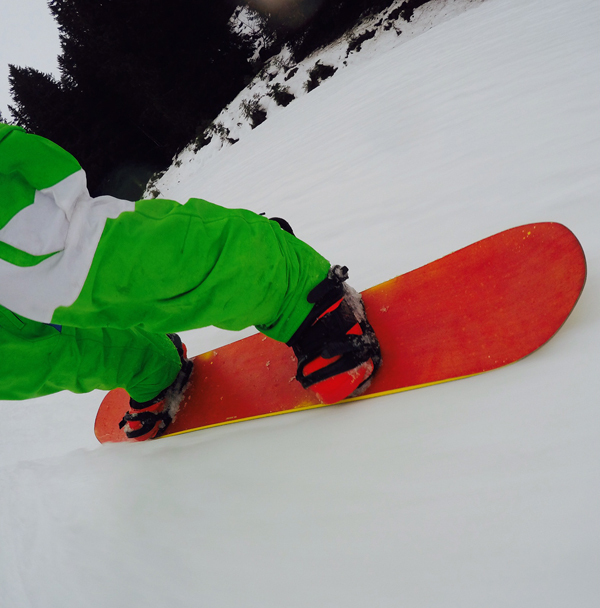 A keen snowboarder and skier, he instructs on our dry-slope when he's not in the mountains! I was lucky enough to have been offered a set of the Atomic Redster X7 skis with XT12 bindings, for a recent ski trip, so jumped at the chance to take them away. 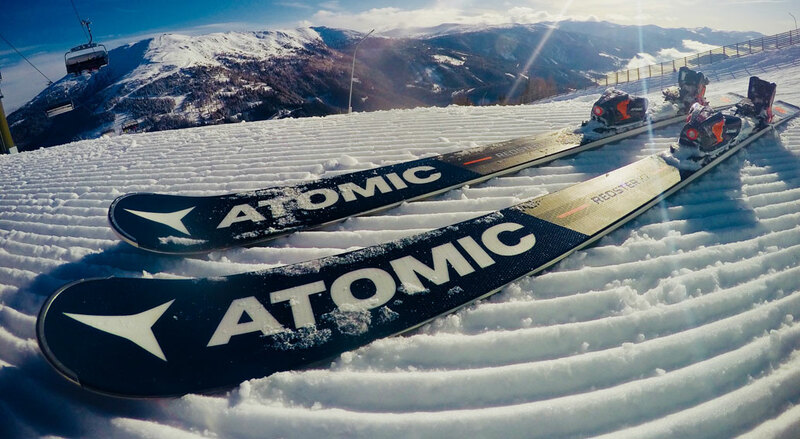 Atomic have arguably produced some of the best race/piste skis on the market over the years. 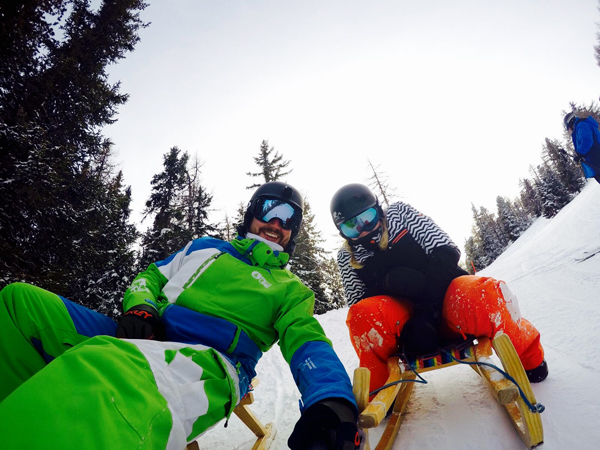 Although I’m nowhere near the same level; knowing that current World and Olympic Slalom Champion Mikaela Shiffrin and current Men’s World Champion Marcel Hirscher opt for the Redsters, I was very excited to try them out. Various reviewers have catagorised the Atomic Redster X7 as an all mountain to top end piste ski. Atomic describe the Redster range as the perfect blend of Giant Slalom carving turns and Slalom short radius turns. So as a keen skier myself I was interested to see where I would ‘place’ them! My initial thoughts of the skis were very positive; on the first ‘red run’ of the morning. Atomic’s power woodcore, full sidewall and 100% traditional camber, had the skis edging beautifully. When I flexed the skis into the turn they responded, with their full sidewall and woodcore, snapping me back and into the next turn. I took advantage of this, whilst the slopes were empty, and enjoyed several runs with the skis push harder and harder. I understood what Atomic are claiming with the “blend” as the skis seemed to generate more speed the harder I pushed them. When my ‘millionaires’ slope time starting to come to an end I decided to go in search of a busier chopped up piste. When my ‘millionaires’ slope time starting to come to an end I decided to go in search of a busier chopped up piste, one that you might find at the end of the day, to see how they would handle the lumps and bumps. I wasn’t sure what to expect here, but due to the slope being busy, I tried a few parallel turns. The skis were very aggressive over the bumps and seemed to snap back at me the more pressure I put through them. I didn’t see this as a negative towards the skis because they are sold as a top end ski, that are designed to be aggressive. It did get me thinking, though, that fatigued legs at the end of a long day may struggle to absorb these bumps on the last runs down to the bar. Overall, I would sum these skis up as an awesome bit of kit. To any potential buyers I would strongly recommend really thinking about where you ski most on the mountain. If your looking for an all mountain ski that is forgiving and can go all over, even into the powder, then these are not the skis for you. However, if you prefer to ski hard on fresh packed corduroy pistes with a ski that is going to push your edge angles, and generate speed, then these skis are fantastic. I found myself having to back off several times, not due to the ski quivering or loosing grip, but for a reason that any skier doesn’t really like to admit to! Check out our selection of Atomic, and other skis: piste, all-mountain, touring and more. The women’s Salomon Q-83 Myriad all-mountain skis. 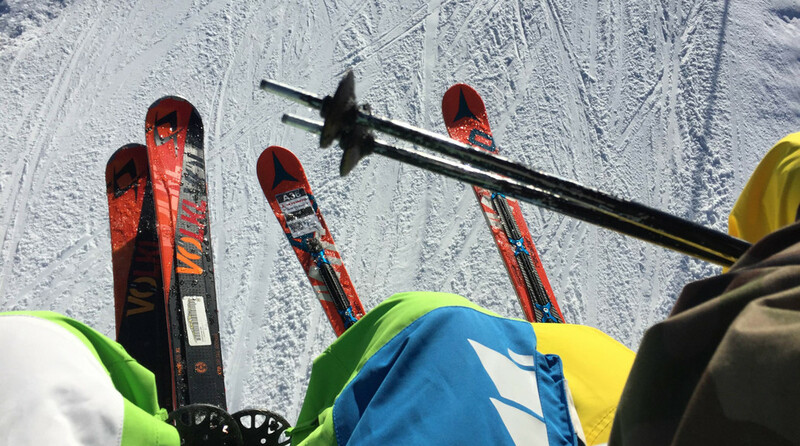 Recently it was that time in your life that every skier loves; time to purchase a new set of skis! I have skied several times around Europe, in different conditions, but whenever I am asked “what kind of skier I would class myself”, I’m not sure! I enjoy blue and red runs, and will go down blacks – if I have too. I’m learning to better my technique in the soft stuff, but most comfortable on piste. I enjoy my skiing, and to me, that is the main thing. I’m learning to better my technique in the soft stuff, but most comfortable on piste. I enjoy my skiing, and to me, that is the main thing. The Salomon Q series has proved a huge success and offers a vast range of skies for different abilities and types of skiing. The Q-83 is aimed at female intermediate skiers; that are looking to progress into skiing powder (the softer stuff) for the first time. It offers early wide edges (you’ll notice the bulge) and a hook free taper on the tip to allow for easier turning on piste. Basically this makes the ski shorter, and therefore easier to turn! 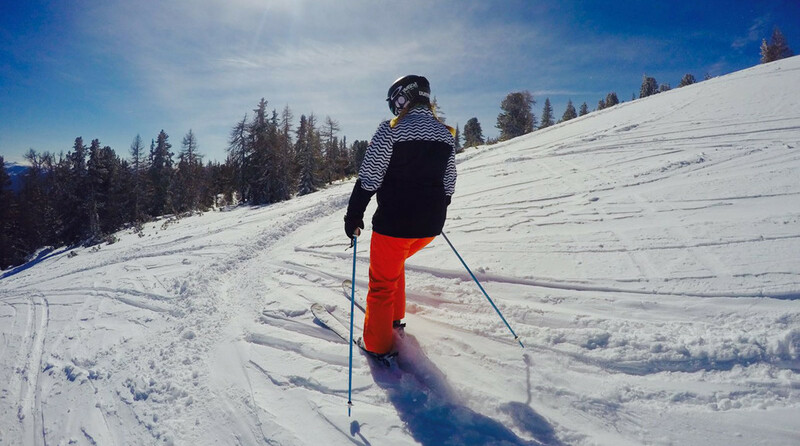 The ski has a full wood core so will easily ski at speed and will still maintain plenty of control on piste. The ‘honeycomb’ in the tip dampens any vibrations. Finally, The ski has a utility rocker tip and tail which allows the ski to float easily in the softer ‘fluffy’ stuff. The first point that I really noticed about them from the skis that I have previously used was how easy it was to turn. I have struggled previously with turning skis of this length but found my Salomon’s very easy. Thankfully, this helped with my confidence and when the time came and I decided to head off into the powder: lets just say it didn’t exactly go to plan the first time but after a few falls into the soft fluffy snow I started to gently get the hang of it which is something that I have never been confident enough to do. The ski has a utility rocker tip and tail which allows the ski to float easily in the softer ‘fluffy’ stuff. Or not! Back on the piste, I felt that I was getting a little quicker and more confident the more I skied them. By the end of our trip, with the help of my boyfriend I was starting to learn to carve the skis. To me, the skis were exactly what I wanted. They were soft and easy to ski but seemed to be responsive when I started to pick up a little speed. My turning has improved dramatically and I even managed to gain a little confidence skiing in the powder. Overall, I really enjoyed these Salomon Q-83 Myriad skis and glad I went for them. I am looking forward to skiing them next year. Finally, the fact that they are really pretty sums everything up but I need to remember not to look at them whilst skiing. Personally I am a bit of a sucker, and maybe slightly biased, when it comes to Austria as a ski destination. Recently, my girlfriend and I enjoyed four days skiing in the Lungau region and were definitely not let down with everything that it had to offer. As we only had four days available we wanted to head somewhere that had a quick transfer time to allow us to maximize our ski time. With that in mind, having spent two years in the Salzburger Sportwelt and being fascinated with this area, we wanted to explore a little further. Lungau is around 1 hour and 20 minutes from Salzburg airport, and with British Airways early 0645 flight landing at 0900, we were on the mountains skiing by midday with ease. 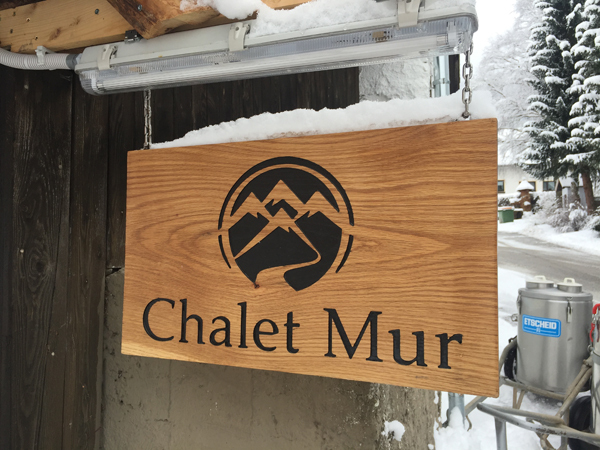 We were picked up by Ben and whisked back to the beautiful Chalet Mur, which is named after the river that runs through the region. The Chalet is run Ben and Clare and is located in a village called Stranach just outside St Michael Im Lungau. After Clare twisted our arm into an early lunchtime Gluevine, we headed up to one of the smaller resorts of Sperieck and Grossarl for an afternoon ski. It was snowing all the way from the airport and wasn’t disappointing on the hill, even though the wind was up it made for an afternoon of relaxed skiing. Chalet Mur is run Ben and Clare and is located in a village called Stranach just outside St Michael Im Lungau. On Friday, with the sun making a blinding appearance, Ben whisked us off to Fanningberg or “Funningberg”, as the locals know it. This area on the piste map seems quite small with only 5 lifts but don’t let that phase you at all. There are plenty of runs for all abilities with the main talking point being all the fun that can be had in and around the trees. Fanningberg offers safe off piste as the ski patrols do cover the marked off pistes routes as well as on. I had some of the best tree run skiing at this resort with my girlfriend enjoying the wide groomed pistes to practice her carving. We would definitely head back again. The resort also offers sledging so to finish the day, we grabbed the last lift up, knocked back a couple of Frucht Schnapps and headed down the main slope back to the bottom. Saturday came and promised to be another good-looking day so we hopped on the free ski bus, which stops just outside the Chalet, for the 5-minute ride up to Katschberg & Aineck. “Katschi” offered some of the best red runs that we have ever skied on and true to the Austria that I know it was like millionaires ski slope. Unfortunately for us, the winds picked up in the afternoon closing Aineck, which has the longest run in Austria at 7.2km. That evening, the snow came in and started to get our hopes up for our last day. At the end of every day when we walked in Clare had prepared a rather tasty cake with plenty of tea and coffee. After a shower and a relax it was time for an evening meal and to say Clare was a cracking cook would be a major understatement. Each meal we had was a delicious home cooked hearty dinner. There was plenty (and I mean plenty) to go around and every need was catered for, even our fondness for a large glass of wine. There are several different resorts around the region and each seems to offer something a little different. We would thoroughly recommend Ben and Clare at the Chalet Mur, as thanks to them, our holiday was even more perfect! When you think of the brand DC, snowboards may not be the first item that jumps out to you. DC are more well known for, where their roots lie, the skateboarding industry. So what are the DC Focus and Mega snowboards like? Damon Way and professional rally driver Ken Block, with the vision of creating a leading actions sport shoe and clothing brand started the company in 1994. In 2004, Quicksilver acquired the brand for just $87 million and since then it has gone from strength to strength. They sponsor some of the biggest names in the various industries including Travis Pastrana, Robbie Maddison, Torstein Horgmo and Travis Rice and in 2012 they released their first women’s range of products. DC have been in the snowboard market for some time and have some quality products out their for all abilities. When our staff decided to go on their ski testing road trip, DC was at the top of the list of products to put through the paces. Thankfully, the guys at DC sent us the Mega and the Focus Snowboards. The DC Focus is a perfect soft and forgiving board and is ideal for any first timer snowboarder or if you’re looking for something to help you in the park. When we tested the board we found it quite responsive on edge however when the heat was turned up it did slightly chatter; something that is quite normal with softer boards. If you are the type of rider that is looking to increase your ability in the park then this board could also be a hit. It boasts a true twin shape that helps for riding regular and switch, an extruded base that will take impacts from rails and boxes and a poppy Astro core that will definitely get you riding to a higher level. Overall, an excellent value snowboard for money priced at only £224.99. 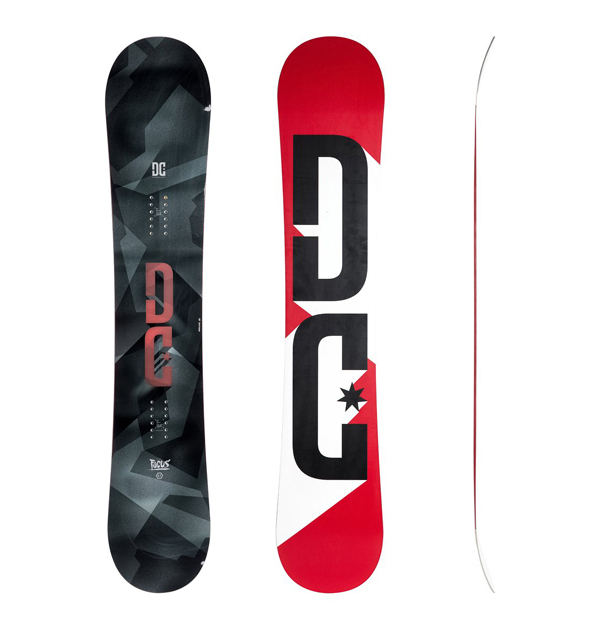 The DC Focus is a perfect soft and forgiving board and is ideal for any first timer snowboarder or if you’re looking for something to help you in the park. The DC Mega was new for 2016 and is something else that stems from their roots of skateboarding. The first thing we noticed, before we had even ridden it, was the board comes with a pack of stencils and a blank top sheet allowing you to customize the board to your very own liking. When we took the board for a test, we were very surprised to say the least. The board had awesome response thanks to its ‘lock and load’ camber. This basically means the board is cambered between your bindings and has sweet spots on the nose and tail; altogether it helps with stability. DC has also added their radius to flat design to this board that helps with flotation and lift in the powder. All round, this board proved a hit but having a wooden top sheet may prove a negative if, like on our test, it continues to soak up water in the wetter conditions! All round, this board proved a hit but having a wooden top sheet may prove a negative if, like on our test, it continues to soak up water in the wetter conditions! We are giving you the chance to win the DC Focus 157cm Snowboard, we reviewed. Yes it might have been used, and have a few scratches, but its in excellent condition and will be fully serviced. All you have to do is ‘like’ or ‘follow’ us and share this article on either Facebook, Twitter or Google+, making sure you tag our username or #TallingtonLakes, and if we see it will enter you into the prize draw. Will pick one lucky winner on the 29th Feb 2016*. Arguably the most well known of the resorts within the Portes Du Soleil (PDS), Morzine is located in a valley with ski areas either side, around one hour from Geneva airport or roughly eight hours from Calais. It was the venue of our ski test in December when unfortunately the snow wasn’t fantastic. Even though it sits at a lower altitude than other European resorts, it is still favored heavily with British skiers due to the extensive ski area. The PDS’s motto of 12 resorts one pass highlights the 600km of skiing available. I have stayed in a few different areas within the PDS and always prefer to stay in Morzine as it is roughly in the middle. Morzine itself is a very picturesque ski town with a variety of activities to do whether skiing is your primary activity or not. The town itself has plenty of bars like Coyotes’ and restaurants like L’etale; and if lager is not your preferred beer, it also boasts the first real ale bar in the Alps. At Le Bec Juane, all the ales are brewed in house and a 4 pint pitcher and a very large plate of Nachos will cost €20. Skiing wise there is plenty to do for everyone. Out of Morzine itself you have the Pleny Bubble, which takes you up the South side of the valley and connects you with the tree line runs of Les Gets, Nyon and Mont Chery. On the North face, you have the Super Morzine Bubble that takes you across the valley and up towards Avoriaz, which is the highest resort in the PDS and is part of the Helly Hansen Ski-Free campaign. A short bus ride away you have the L’ardent Bubble that will connect you up to the Linderet Goat Village where there are nursery slopes and several lifts connecting you with Avoriaz, Chatel and Switzerland. Off piste is incredible when it’s on in this area. 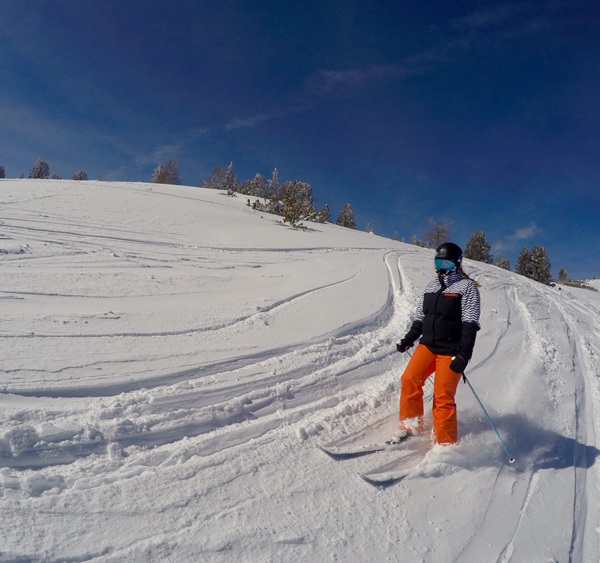 Happy Valley and Hidden Valley are located around the Chatel side and offer perfect powder bowls. Switzerland also offers a vast area of off piste with Les Gets offering some real hidden tree runs. I would always recommend a full area pass as it allows you to explore literally everywhere. Whether you are riding powder in Avoriaz, Les Gets or Chatel or just looking to charge around the runs through France and Switzerland. The full area pass will cost you around €250 for six days however there are deals to be had so worth checking the website! The Zore run, a gentle blue that takes you back to the Super Morzine bubble and down into the town itself! 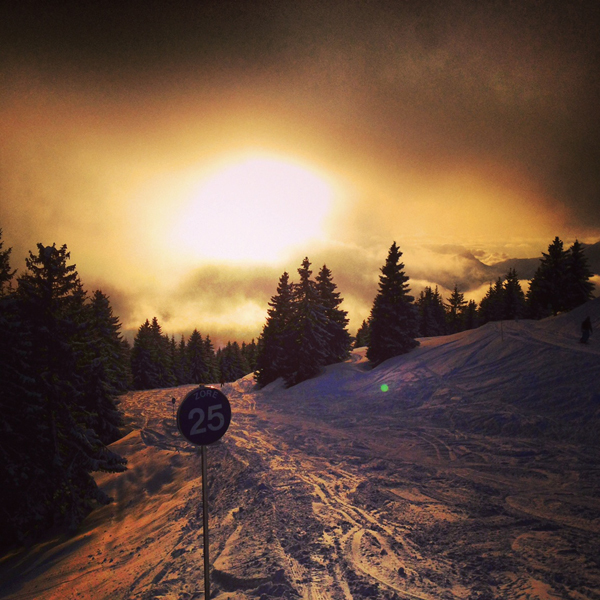 Overall, the town of Morzine is a perfect base if your looking to explore the second largest ski area in the Alps. 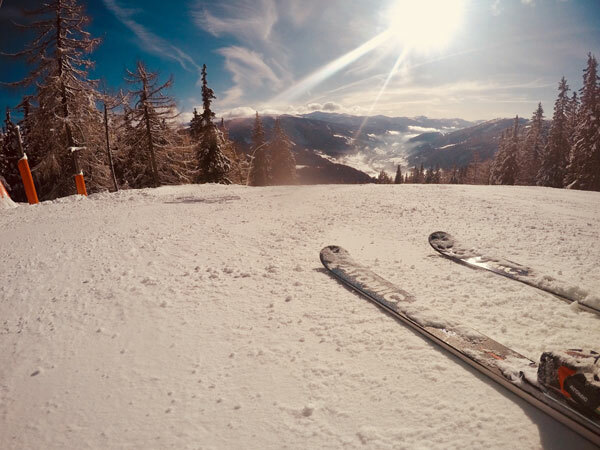 It literally offers something for everyone from complete beginner to top end skier or boarder through to powder bowls and tree runs to immaculate hard packed pistes. Ever fancied a crazy road trip to the Alps to test some skis and snowboards in three days, on a tight budget? The drive to Folkstone was smooth, and we even managed to jump on an earlier train via the Euro Tunnel. Once on the other side we started the eight-hours, 540 mile trip across France. Having stopped for a steak dinner, and a fuel break, we arrived in Morzine to the stare of a friendly Gendarme pointing his rather large assault rifle at us and asking us to stop. Having been breathlysed, and laughed at for driving to Morzine for 3 days, we arrived at the Ardent Lift car park at around 04:30. We rolled out the sleeping bags and tried to get four hours sleep. The morning came too quickly, with the sun beaming though the car windscreen, and the sound of other cars parking up for the day. We were ready for a black coffee, omelette, and to go and shred the “interesting” conditions that awaited us. The first skis out the box were the Volkl RTM and the Atomic Redster Double Decker SG. The morning conditions of packed ice proved positive with this type of ski. The afternoon’s conditions of slush and bumps proved a hit with the Volkl Kendo, Atomic Vantage 95c and the Volkl One. Having more width underfoot enabled them to be very happy to pop over the mounds but still maintain very good edge hold. The afternoon’s conditions of slush and bumps proved a hit with the Volkl Kendo. 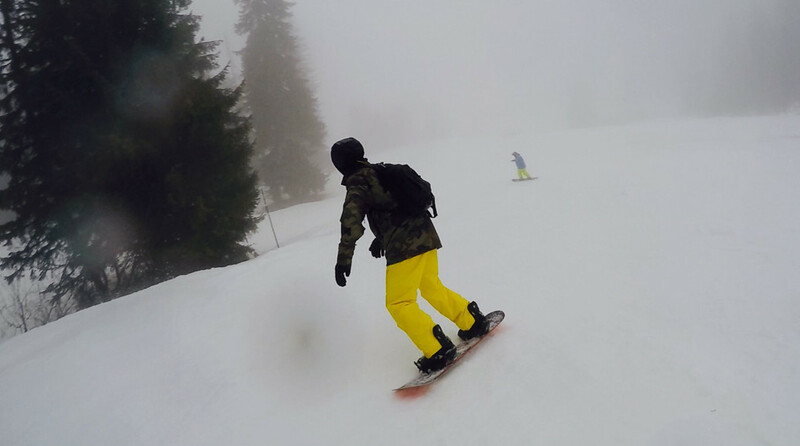 Tuesday didn’t start to plan as we woke to the sound of rain and wind; but being Brits we still went up onto the non-crowded pistes. Unfortunately conditions weren’t fantastic to be able to test the skis, so it was time for the snowboards to make an appearance. The DC Mega and the DC Focus proved another success. With the afternoon proving a little softer, the Lib Tech Skate Banana made a very brief appearance. Tuesday night it seemed fitting to head out to Chez le Pere Bill for a French meal to prepare us for everything to come on Wednesday. As always, the meal had to finish with a few large glasses of red wine and a very well received Cheese Sledge. The cheese sledge – Chez le Pere Bill, Morzine. Wednesday started well with sunshine but still no fresh snow. We raced up to the car park and jumped on the Salomon X-Drive 8.0 FS and the X-Drive 8.0 Ti for a couple of runs. The conditions were proving bullet proof and it seemed fitting to break out the Atomic Redster Double Decker SG again. This is certainly a ski that has to be carved. With the afternoon getting bumpy again we headed up to the Chaux de Rosee lift and to our favourite slope. It was a blue run that was very narrow, very slushy and very bumpy. As it was the last afternoon we chose our favourite ski from the trip and proceeded to ‘bounce’! 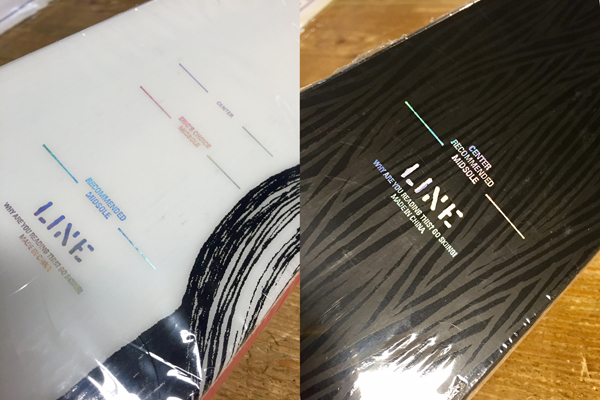 Our review of the skis, and snowboards, will follow shortly. Finally, after packing up the car, the boxes and sinking another two black coffees we were on the road back to Calais. We arrived at the Euro Tunnel for 02:00 and even with the current situation managed to jump on an early train. With a quick three-hours sleep we strolled back into work all bright eyed and bushy tailed with Bernard the Blue Dog! When searching for flights, you can obviously find that bargain that everyone is searching for. Personally, I have found flights from Stansted to Salzburg for £70 return. Flights are certainly cheaper but if you’re adding your skis and snowboards then it can be more expensive. If you have the time available, and there are three or more of you, then the cost will always look more favorable to drive than fly. Also cars can carry another 75kg, of ski/snowboard gear, on the roof (with bars and a box) so it looks even more appetizing. Whenever I have looked into the crossing DFDS Seaways have normally been the cheapest. They offer services roughly every hour from Dover to either Dunkirque or Calais. It can add on time though which is why the Channel Tunnel can be more accommodating. I have only taken diesel vehicles across and depending on where your final destination is, can normally do it from Calais in just over a tank of fuel. Fuel normally is also cheaper in mainland Europe, but always worth looking before you go. The French use ‘tolls’ across all their major roads going south which can add around €70 each way in costs. The Austrians impose a ‘tax vignette’ for driving which is normally around €15 for a week. Our friends, the Germans, are currently the only country that does not enforce a cost to use the lovely Autobahns – ya das its gut! Depending on where your final destination is will also determine if you need any compulsory items that certain countries enforce, such as snow tyres, snow chains or breathalyzer kit. GB Sticker or GB badge on number plate. Obviously driving in Europe can be a lot different to that in the UK. The laws are different, the speeds are faster and the police can, and will, pull you over if your car doesn’t look like it will make the journey. As with any driving, always consider and look for your rest stops along the route. All the main roads I have driven on in mainland Europe always seem to be well kept with the services clean and tidy. Fuel stops are sometimes hard to come by as the roads are so long, so don’t be worried if you haven’t seen a fuel sign for at least a 1oo miles. The driver seemed to think that when the dash said ‘o miles’; it actually meant he had another 50 miles in the tank. Oops! A very simple route south. The towns of Saint Quentin and Dijon offer places to stop for the night. The hardest part will be the gentle mountain route up to Meribel. If it has been snowing at any point during the day then you can bet the Gendarmes will be out enforcing the use of snow chains. At the height of season, it isn’t uncommon that it can mirror the M25. Roughly 900 Km with a driving time of just under 10 hours. Having worked in Austria for a couple of seasons, this is the route I have driven most. I would always recommend taking the slightly longer route through Belgium, The Netherlands and Germany when heading to Austria as it saves the Tolls through France. It will add around 25 minutes onto your journey, which in the grand scheme of things isn’t that much. The drive is pretty straightforward and once in Germany the speed can be picked up on the Autobahns. You may hit some traffic around Munich at any time during the day but then heading to Salzburg is easy. Just remember your Tax Vignette at the border. Roughly 1100 Km with driving time of just over 10 hours. Again a pretty simple drive. Straight off the ferry and it follows the same route as Meribel and all the other ski resorts. The differences being you need to turn off at Geneva to head up to the mountains. Geneva is a beautiful city if you get the chance to pop in or stay there. Roughly 800 Km with a driving time of eight and a half hours. When leaving your car for a prolonged period in the snow. Pack salt or grit into the tread of the tyre. When you come to pull away it will give you just enough grip to get moving. Remember that Europeans drive on the “wrong” side, and its probably the most enforced as you get straight off the ferry or train. Most of Europe shuts on a Sunday. A very important note to remember when driving. Apart from the main shopping centre’s and anything in a large holiday resort, everywhere does indeed close. Again, as the photo suggests, even petrol stations in local towns are closed. European police can seem to be more heavy handed than UK Police. As long as everything is in check regarding your vehicle and what to carry than you have nothing to worry about. Although driving a UK plated vehicle does attract attention so beware! When driving in Europe, it is the responsibility of the driver to enforce everyone is wearing seatbelts. The driver will be liable for a fine. Something I have found out. Drink drive limits mainland Europe are higher with the fines heavier. My advice would be not to risk it at all. The French base it on how long you have been driving. E.g. if you have been driving for 3 years or less then the limit is 0.02%. Devices that can detect speed cameras (Road Angel) are illegal in Europe. Practice fitting snow chains back in the UK. It is not fun when it is minus 5, cars are whizzing passed you and everyone else is in the car nice and warm. A set of gardener’s gloves is always handy! Keeping a shovel and a bag of soil (being serious) in the car is a definite. You never know when you will need to dig yourself out and packing soil just underneath the tyre can help you get out of deep snow. For me, it’s a definite YES. If I have the option when looking at booking a trip to the alps then I will most certainly take the car across. However, I do understand that it isn’t for everyone and that flying across is a lot less stressful and can sometimes get you there faster. In a nutshell alpine ski bindings are a vital piece of equipment; not only securing your ski boots to your skis but also giving you additional safety features to prevent dreaded injuries. Getting the correct bindings is important and is specific to your skill level as heavier more aggressive skiers require bindings with a higher DIN whereas lighter beginners would require a lower rating. 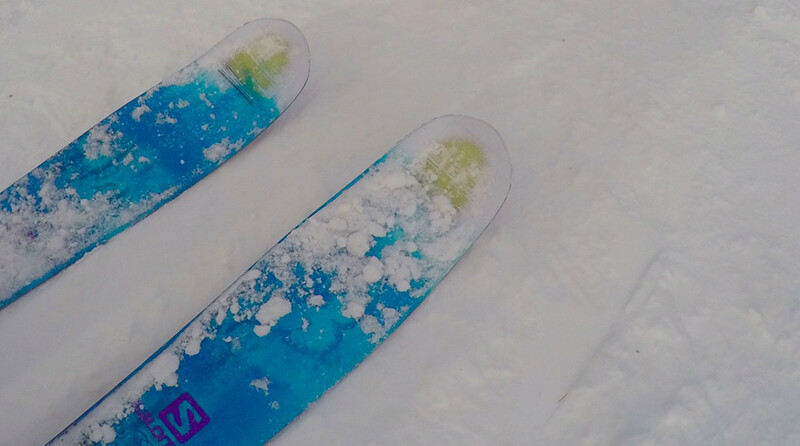 The most common way of mounting bindings is either on a track or rail where the heel and toe piece simply slide on, generally found on Piste orientated skis. These bindings are mounted onto the skis at the factory meaning they are ready to be used straight away. The drill mounted method although less popular is becoming the way to go with many people turning towards all mountain skis as riders start to venture off Piste into the powder fields. A qualified technician would then fit these bindings to the ski with a few additional pieces of information which this guide will cover later. The process behind drilling skis is relatively straight forward for a trained technician; and before you ask “no we don’t drill freehand”. We use special jigs and drill bits that come directly from the binding manufacture to ensure the correct drilling, every time! 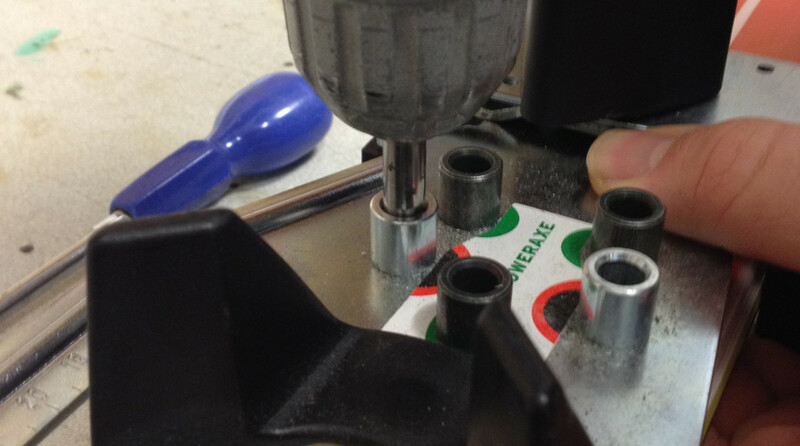 The technician will use your ski boot to adjust the jig length and then that crucial decision of where to have your binding mounted ski centre, ski forward or ski back. We know this can be a hard decision to make so below we go into detail on the different positions. So you have chosen the ski and bindings now it’s time to make another decision where to mount your bindings! There are lots of different factors that need to be taken into consideration and questions to be answered. The first question to ask yourself and one that requires an honest answer is ‘what terrain am I going to be skiing on?’ Generally the answer will be all mountain, in this case its best to follow the ski manufactures recommended position. This recommended position will have been determined by many extensive tests and gets the best all round performance out of the ski. Although this is the ‘recommended position’ you don’t have to follow this; for example the Line Afterbang can be mounted further back if you will be riding all mountain. 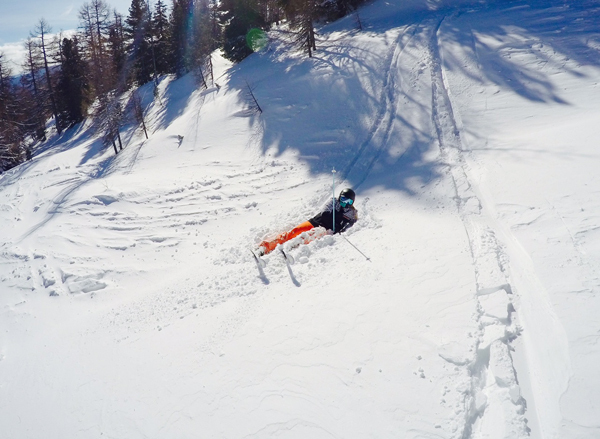 Park and powder skiing are two extremes where the correct mounting position is vital. Park skiing generally requires the bindings to be mounted ski centre due to completing aerial tricks where equal balance is important to performing the trick successfully and safely. Whereas powder skiing requires the bindings to be mounted back from the centre allowing the front of the skis to remain elevated naturally floating on top rather than under the snow. Eric Pollard (left) prefers his mounting line to be slightly forward due to his unique skiing style. He likes to use this ski in the freestyle category, back country and for touring. Using Line Skis as an example it’s easy to see how they believe there skis should be mounted. Above on the left we have the Mr Pollards which is a powder ski and on the right we have the Afterbangs ideal for park rats. You can see on the Mr Pollard that there are three mounting lines: at the front ski centre, in the middle Eric Pollards preferred line*, and at the back we have Line recommended. However on the Afterbang there is only one line, the centre line. *Eric Pollard prefers his mounting line to be slightly forward due to his unique skiing style. He likes to use this ski in the freestyle category, back country and for touring. The brands, in their own way, will mark on the ski where the centre of the ski is and also the recommendation for drilling. Where it gets interesting is when the question is asked “I want to buy this big ski but want to ski it all over the mountain including the powder, piste and possibly use it in the park” The short answer is that it is possible but you won’t get the full benefit. In an ideal world, you would have a powder, piste and park set of skis but in reality this is not the case. At Tallington Lakes Pro Shop we have highly knowledgeable staff that are passionate about snow sports. They are always on hand to assist and advise, so why not pop along and have a chat with us? We also boast an extensive workshop with highly trained technicians that can get those skis and bindings mounted to get you on the slopes ready for this season!